At Coffeeland, we aim to uplift everyone along the journey as we further our knowledge, science, research and expertise in our coffee. Our dedication for perfection values consistency, transparency and sustainability in every step of the process, and as we get smarter, so does our coffee. The journey to Coffeeland begins with passion. Our passion fuels us on an adventure to explore all things coffee, to build relationships, establish new research, and share education about this bean that we love. 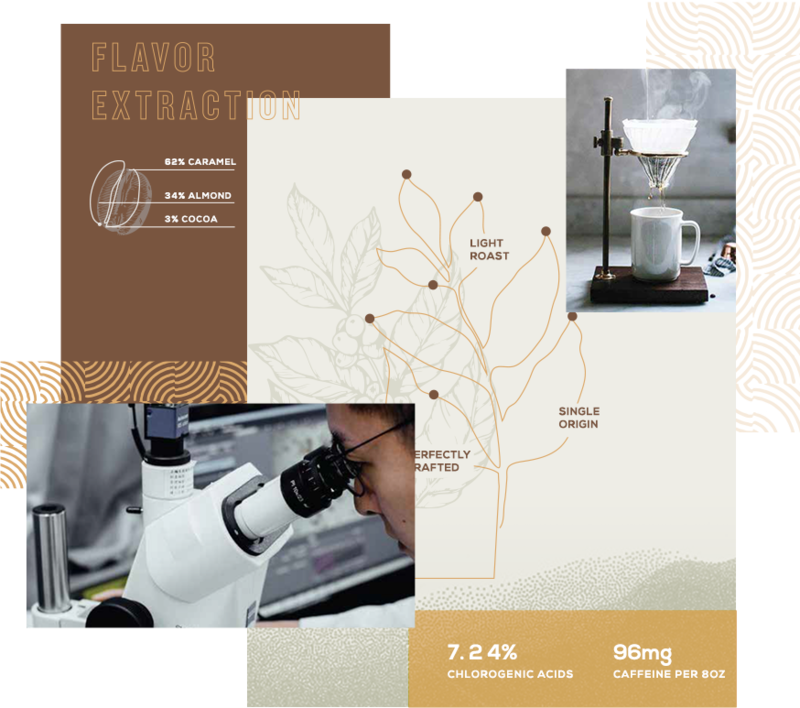 We’re honored to share the discoveries we’ve made on our quest for the perfect cup and to demonstrate how the art and science of coffee become one. 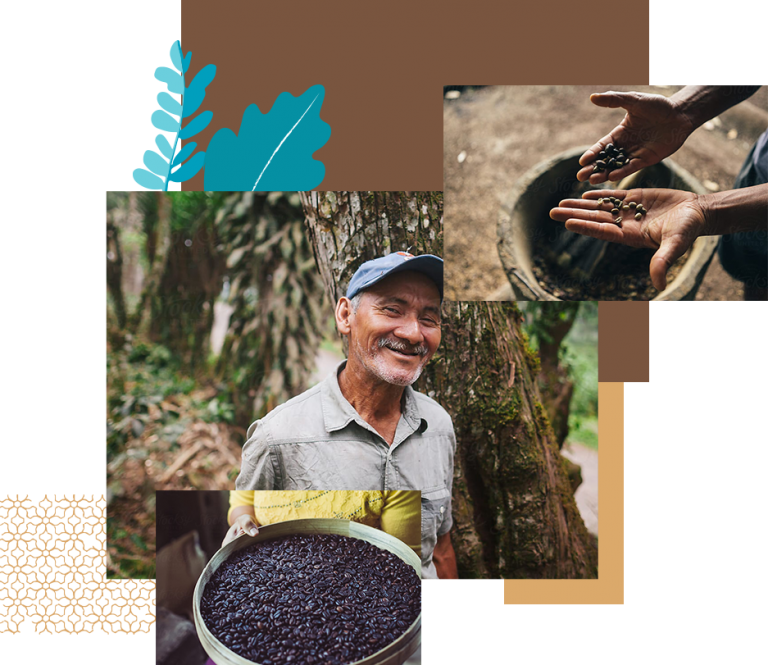 We’ve made it our responsibility to create a transparent connection between our farmers, our researchers and consumers, so we can fully appreciate the journey our coffee has traveled to reach us. 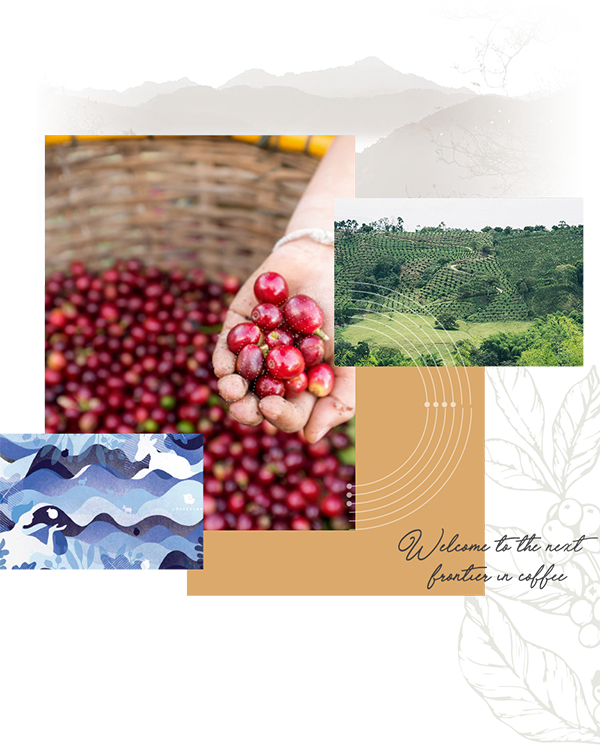 It is our goal to use this unique blend of art and science to enhance the relationship between consumer and farmer, as well as to build practices that support both coffee growers and coffee drinkers. Each sip of our coffee can be enjoyed sustainably, consistently and deliciously. All of our journeys through the land of coffee have led us here. We believe coffee can be a powerful force for good in the world, particularly because of its broad global reach. 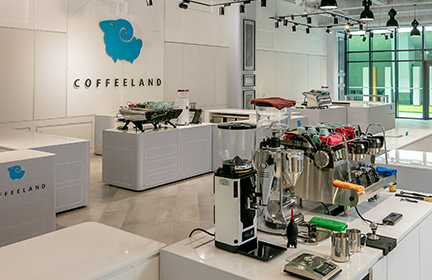 Advancing coffee education and sharing that knowledge is vital for coffee across the globe, which is why our Coffee Education Classrooms are a virtue to Coffeeland’s mission. 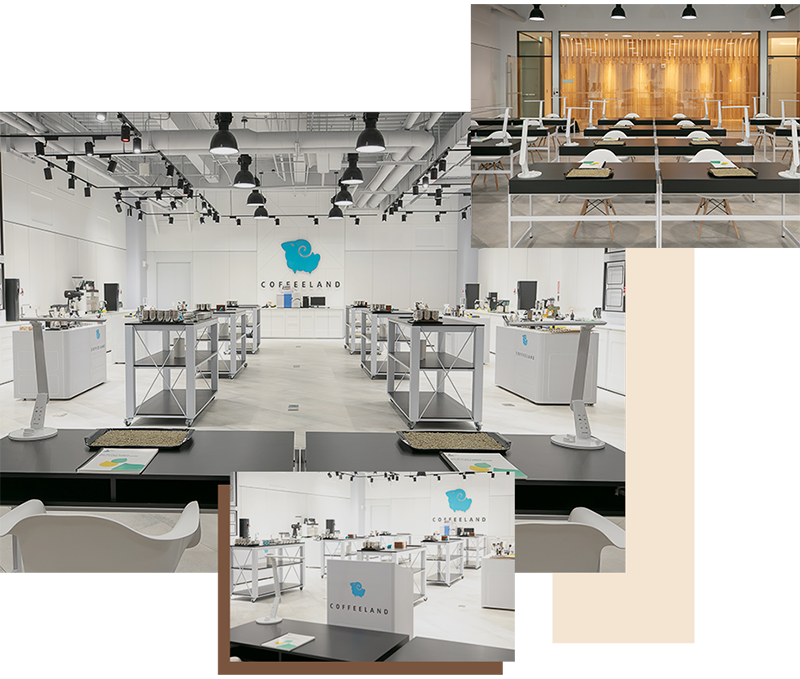 With our combined experiences, we have created a state-of-the-art Coffee Education and Research Facility featuring highly acclaimed SCA certified classrooms that are internationally recognized, technologically advanced, and professionally instructed. Through tenacious scientific research and chemical analysis, we’ve explored every last detail of coffee at each phase of growth, from seed to harvest and from fermentation to processing. Our analytical databases show trends from key coffee indicators and allow us to monitor the quality, flavor and safety of green and roasted beans. As our research grows, we use our data to map the almost infinite variables in coffee production - giving us complete control over calibrating each step of green coffee sourcing, coffee roasting and extraction. 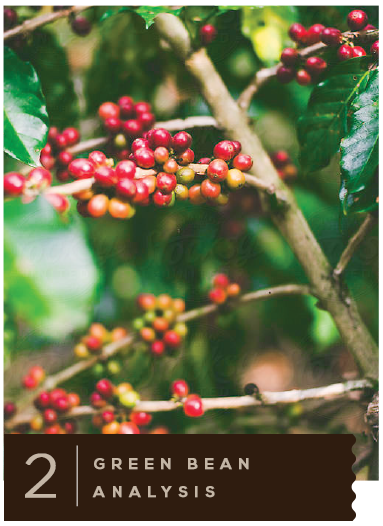 Our coffee is verified with Q-Graders and quantified by science and research. All the steps we’ve taken from the land of coffee have led us here. With our Coffee Crop Program, advanced agricultural techniques are applied at every stage of growth, both pre-harvest and post-harvest. We analyze 35 chemical indicators of green coffee beans to form a unique graph that helps us create a guide for the most optimal roasting parameters. 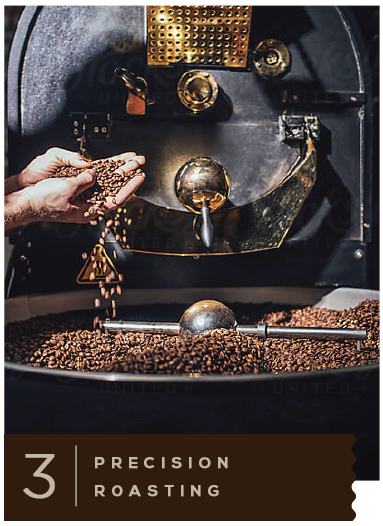 Our state-of-the-art and highly responsive roasting system is energy efficient and allows us to deliver each batch of coffee to our customers responsibly and consistently. With the use of our Green Bean Analysis database, we are able to formulate and automate a roast profile that is precisely targeted to the selected flavor attributes. 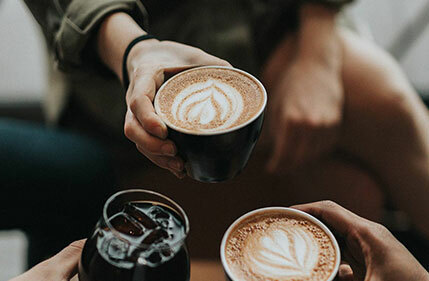 At Coffeeland's Specialty Coffee Association (SCA) certified Premier Education Classrooms, we work diligently in taking coffee education to the forefront. Led by our highly decorated team of Q-Instructors, ASTs and coffee professionals, we offer classes, training, and mentorship to the next generation of coffee professionals and enthusiasts alike. 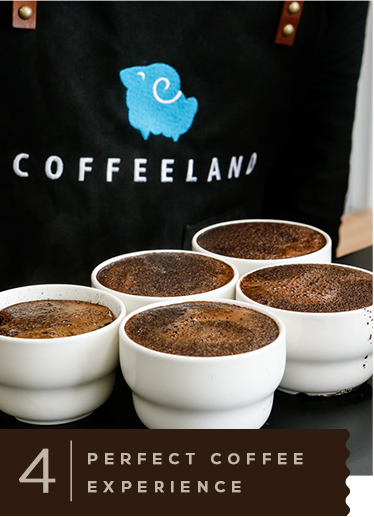 Supporting coffee farmers to ensure success and sustainability is Coffeeland’s guiding ambition. 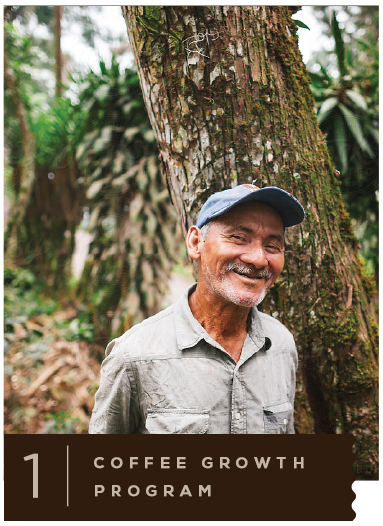 Our top priority is empowering coffee farmers with responsible agricultural practices that improve coffee growth, yield, flavor and advanced farming techniques. By sharing our knowledge and technology with coffee-growers directly, we are giving them tools to build thriving communities and enhance their quality of life. 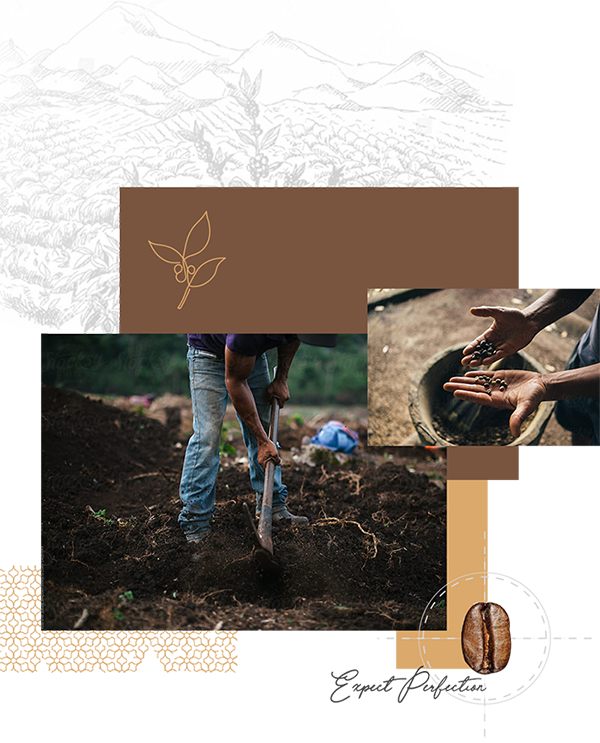 We are humbled by the opportunity to serve our coffee growing partners and to create awareness for the complex and strenuous nature of their work. It is our job and duty to help our coffee farmers find the audience they deserve by roasting coffee to its full potential. Our homage to the America “Classic” coffee. Medium-dark roast, bold with a slightly smoky finish. Mother’s kitchen with fresh baked bread. Medium roast with buttery caramel flavors and sweet brown sugar finish. Our classrooms provide a unique setting, solely dedicated to the study of coffee. 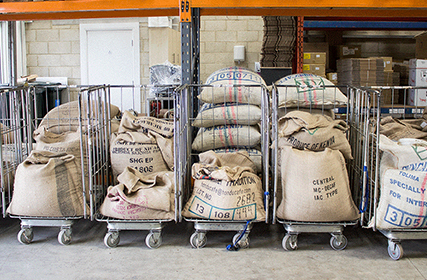 Stay up-to-date on the latest Specialty Coffee news and key trends. This is the land of coffee. A coffee farmer’s work can be filled with challenges, such as erratic weather patterns, changes in the local ecosystems, or even labor shortages. 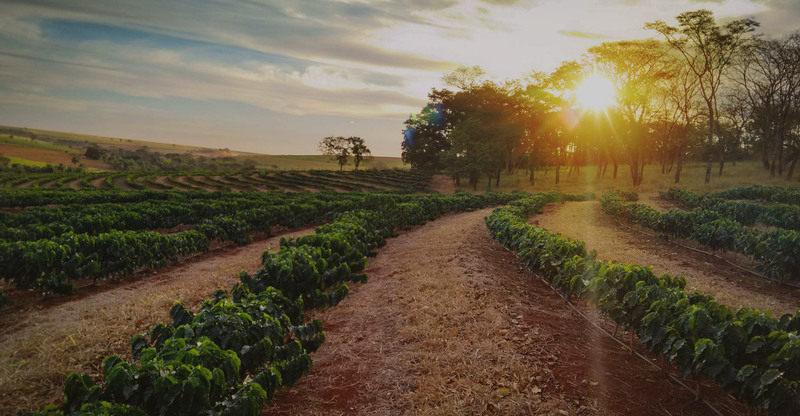 With profound respect to the labor, our farmers devote to growing coffee as we’ve worked to understand these challenges and develop solutions to help their farms thrive. The research in our Coffee Crop Program is designed to aid farmers in cultivation, as well as increase their efficiency and output through new farming techniques. By working to decrease some of the difficulties coffee cultivators face, we hope to help improve coffee farming at every phase of growth. 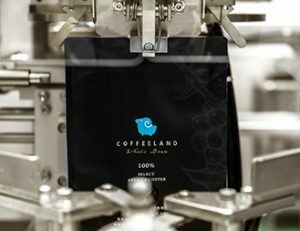 With our research and development abilities, we are able to uniquely position ourselves in providing private labeling for multiple sectors of the coffee industry. Our customers’ coffee product development utilizes a team of coffee scientists, researchers, Q-Graders, and world champion coffee roasters and competitors. 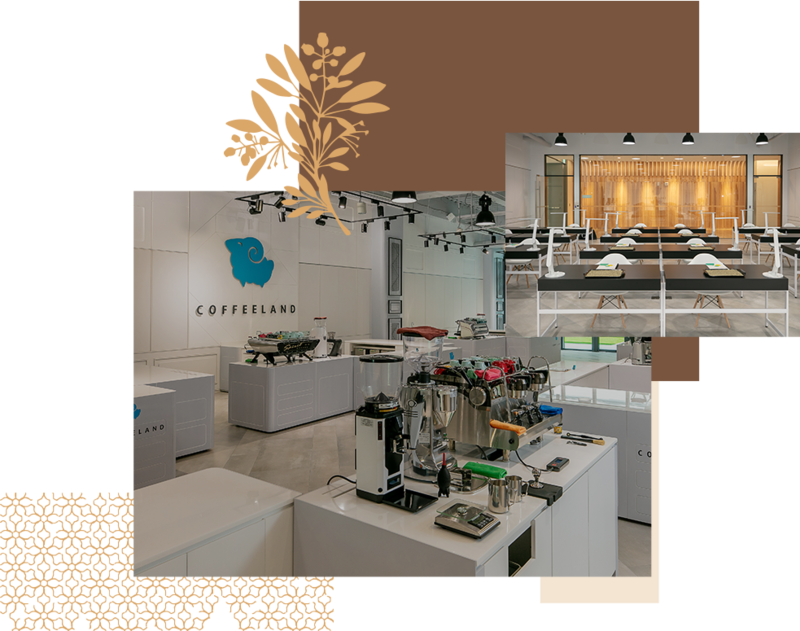 Lead by our team of professionals, Coffeeland is a fully automated facility utilizing automation in green bean conditioning for foreign object sorting, coffee density and coffee bean color selection. Our unique Green Bean Flavor mapping database enables us to create precise roasting parameters based on targeted flavors. 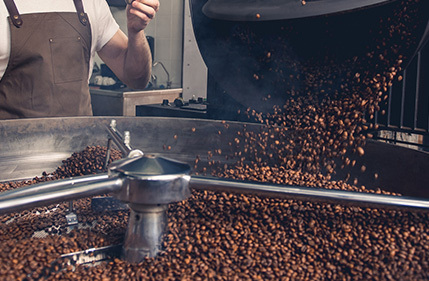 A new era begins with our state-of-the-art Precision Roasting program. Merging the art of traditional coffee craftsmanship with certified Coffee Roasters, and scientifically backed data with new coffee research technology, we are able to deliver dependability and repeatability in every batch of coffee we make.